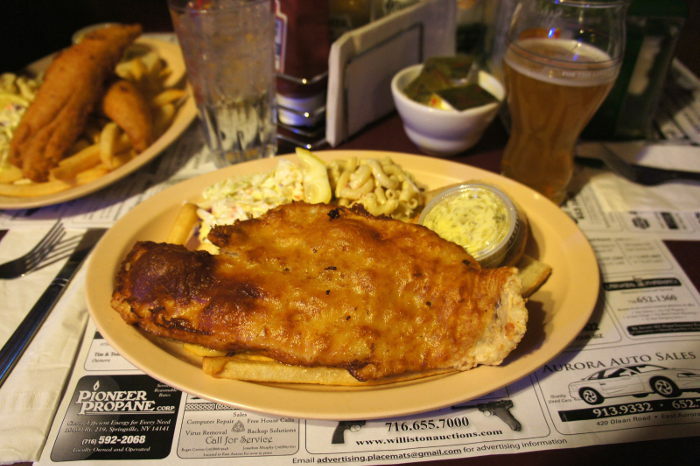 As I explained in my article on the Top Fish Fry Places In The Northtowns, compiling a user-friendly guide for the best places to enjoy a fish fry in Western New York has proven to be a very daunting challenge. There are simply too many restaurants who have mastered the meal, which as consumers, is not a bad thing. Being a lifelong resident of the Southtowns, I have enjoyed many fish fry dinners in “my neck of the woods.” To chop my list of favorites down to just ten was extremely difficult, and I am sure my list will generate some feedback and debate, which I always welcome. The following is a taste of ten places located in the Southtowns that I have determined to be among the best of the best. 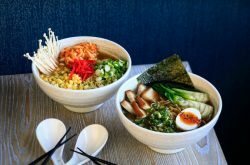 A visit to any of these ten restaurants should leave you satisfied as you address your hunger pains as we make it through the end of the winter season and head into spring. 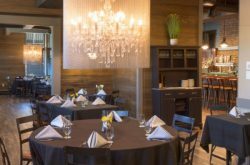 While this restaurant has recently become known as an outstanding eatery for anyone who enjoys barbecued meats, the fish fry dinner is splendid. Served only on Fridays, the significantly sized piece of boneless and skinless cod is beer battered and fried to perfection. I have also enjoyed their broiled fish and plan in the future to sample their Cajun fish fry and their lemon pepper fish fry. Fun atmosphere and top-notch customer service. Hearty portions is the name of the game here. The official name of their fish dinner is the “Flying Bison Aviator Red-Battered Fish Fry,” but if you simply tell your server “fish fry please” they will know what to do. What will be placed in front of you to consume will be a delectable meal that includes fresh cut French fries, coleslaw and a tasty pasta salad. The coleslaw and pasta salad are actually listed as “half portions” and for 99 cents more you can get a “full side” if you are feeling particular hungry. Broiled and baked options are available, with a close friend who lives within walking distance saying both are consistently served to perfection. Strategically located on the Lake Erie shoreline, this is the ultimate place to dine outside during the summer months. But don’t let the lack of warm weather and sunny skies stop you from dining there. Served daily, their haddock fish fry is a golden and tender piece of deliciousness. Breaded and cooked to perfection, the fish is accompanied by coleslaw and French fries and for those who enjoy it, a specially flavored side of tartar sauce. Their hostesses and waitresses are always friendly and the family atmosphere is felt throughout this comfortable establishment. Located close to the Hamburg/Orchard Park border in the Southtowns, this popular pub is just down the road from Ralph Wilson Stadium. The place is full of character and plenty of characters. Just a very enjoyable place to unwind and dine. From a wide ranging menu that includes the “pot roast bomber” and shepherd’s pie, the Guinness Fish Fry is the perfect meal, especially during the Lenten season. The platter presented to you features a bountiful serving of lightly beer-battered fish with all of the fixings that is sure to tantalize your taste buds. One of the best places in all of Western New York to enjoy the comfortable old Irish pub atmosphere that so many of us cherish, they offer fine dining at pub prices. If you are with a larger group who want some variety for their Friday night fish fry feasts, this may be the ultimate destination. In addition to the traditional beer battered fish, their recently updated menu offers “eight ways to broil a fish,” an extensive list that includes broiled artichoke and broiled Cajun dishes. All palatable meals, I seriously cannot recommend one over another. Plenty of love obviously goes into the side dishes, which includes coleslaw, macaroni salad and your choice of French fries, buttered spuds or “smashed” potatoes. Come hungry and leave satisfied. Another great “mom and pop” style of eatery that serves their fish fry multiple ways, this is a cozy and comfortable place to sit down and dig in. 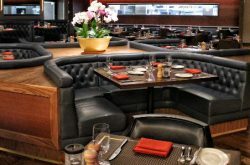 Consistently serving sizable pieces of mouthwatering fish, they also offer truly unique side orders, including potato pancakes, garlic mashed potatoes and baby red potatoes. Perhaps the least known on this list in terms of immediate name recognition, this is a place you will want to try this Lenten season or really anytime of the year, especially since they serve their fish fry dinners daily. A friendly neighborhood establishment, Sneakers would never make any fine dining chart but is on the top of most people’s lists of best places to chow down on a fish fry on a Friday night. Truly a place “where everybody knows your name,” Sneakers serves up your typical fried fish feast with homemade side dishes. I know of three people who live outside of the Southtowns who regularly visit here for the fish fry, quite the compliment when you think of how many places throughout Western New York serve a quality fish fry. A true gem that some folks outside of the Village of East Aurora may have never heard of, this is a model for what consistency and high quality bring you as a patron when you order their fish fry dinner. Each order features a piece of fish that is never greasy. In fact, the fish can best be described as tender and flaky. The batter is tasty but not heavy, meaning the tedious prep work is equally matched by attentive cooks as your meal is being prepared. 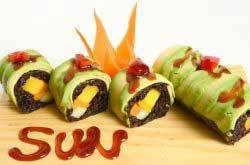 Awesome side dishes and solid customer service that makes you feel welcomed and never rushed. I’ve only visited here one time, but trust me when I say I will return. Another cheerful neighborhood place, having a meal here almost feels like a trip to a long-lost family member’s home. You are always greeted with a hearty “hello” from whoever is tending bar and quickly greeted by a host or hostess, often times the owner of this longtime establishment. The dining room area really needs to be experienced because any type of explanation simply does not do it any justice, but again, you feel like you are a guest in someone’s home instead of a patron in a restaurant. The portions are quite large, with the fish fry dinner highlighted by a moist and flaky piece of fish and accompanied by homemade side dishes just like Aunt Aggie used to make. If you are looking for good old fashioned food served in a family-oriented atmosphere, this is the place to eat.